Kids class: escape from mount using trap and roll method. Main class: side control reactive drills. 8th March 2018: Daniel Strauss Guillotine seminar. My nogi instructor visited our club to conduct a guillotine masterclass. Lots of superb detail and depth to this high percentage technique. Kids class: At the beginning of each month, the session is dedicated to a specific self defence technique. Today the kids all revised their escape from a rear bear hug over the arms, then we moved on to escape from a front bear hug over the arms (push hips, back away, turn in for an ogoshi hip toss throw). Main class: We were very lucky to have as our guest instructor, Cornell Vlijter share his knowledge with us. 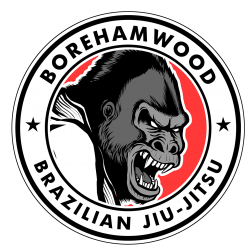 It was an excellent session covering side escapes, guard passing and deep half guard – three areas where Cornell has had most success in his competitions and when sparring. Cornell’s main focus was to ensure we could perform these techniques without resorting to flexibility or speed. He likens these to ‘old person jiu jitsu’ techniques. 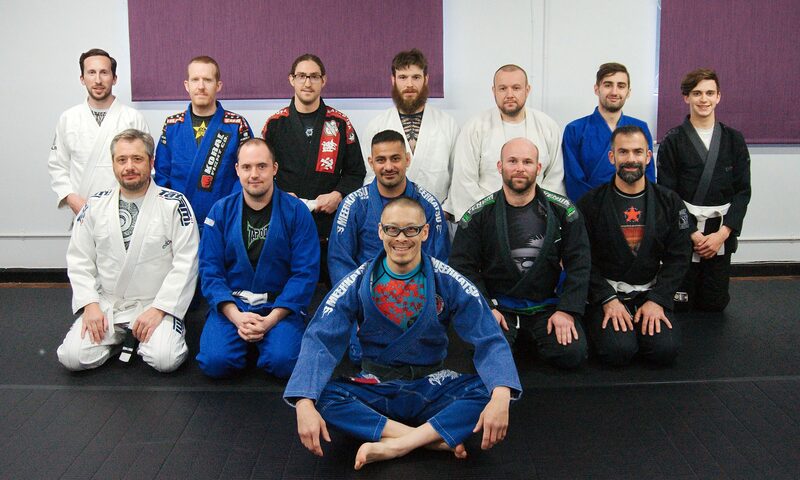 Beginners Class: it was the final session of our five week introduction to BJJ. For this session I introduced the guard – the reason for using the guard, the pro vs con, the power of the sweep, the need to get to a guard when escaping dangerous situations. You can view the entire lesson here. Main class – it’s the beginning of the month so a new position to cover. This month will focus mostly on side position. Today I taught the low hip side control. This is when you cannot establish head and shoulder control. From here there are limited submission possibilities so it’s really a matter of seeking to transition to a better position, such as the mount. Both the kids class and the adults class enjoyed learning some high level judo-for-BJJ action today with former GB Team Judoka Caroline Kinnane as our guest instructor for the day. Caroline taught an excellent kids class with all the students successfully executing a drop seionage throw and a full seionage throw. In the adults class, Caroline shared her very valuable experience on how to use judo within a BJJ rules setting. Our huge thanks to Caroline for the session and we definitely look forward to having her visit the club again soon! Today we looked at basic control and hold down techniques from side and then from mount. The main concept was the four corners of a box principle. We also looked at the cross-face and low to high mount options from on top. See the whole lesson here. Main class – open guard passing. There are many ‘interim’ positions such as combat base, headquarters etc where you haven’t passed guard and you aren’t in any mount control yet are stable enough to wait for the right moment to pass. We also looked at the folding pass again, this time with the backstep to side control. Finally we finished off with a couple of quick disruption techniques when faced with a seated guard player and we are standing. Main class: Folding Pass and rapid transitions when trying to pass open guard. Beginners Course 1/5: We looked at the way our bodies move when pushed and pulled around and how it feels different standing up compared to being on the ground. We then looked at simple ways to bring our opponent to the ground and ended with an illustration of how in BJJ we seek to progress our position to a better place of dominance. You can see the full lesson here. Main class: Passing the open guard, we began with Toreando pass and when looked at the x-pass, long step pass. Kids class: today’s theme was on attacking. Two teams in lanes, each executing various attacking moves, including: double leg takedown, torreando pass, knee on belly switching from side to side, side control to mount and hold while uke tries to escape, attacking turtle to take back control and holding there while uke tries to shake them off. We finished the lesson with a vigorously competed round of tug of war. 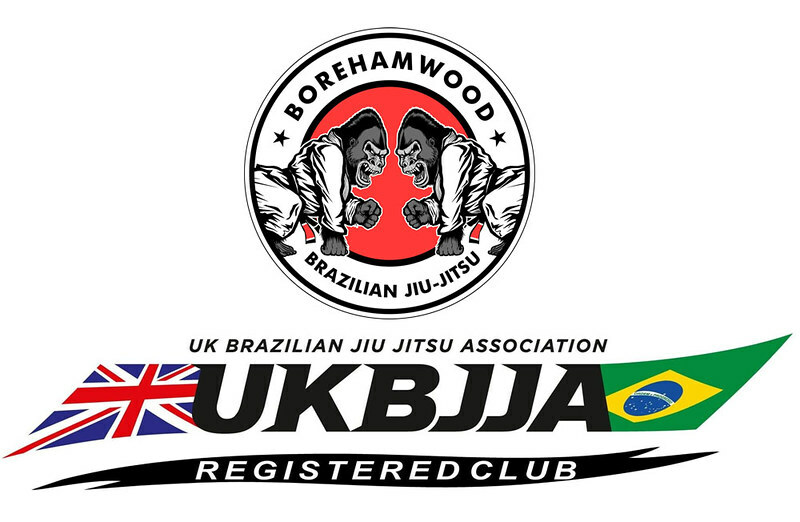 Adults class: single leg X-guard and the overhook X-guard. Fundamentals class: sit out escapes when you are in turtle and your opponent is in front of you. This escape also works if they are headlocking you, but you need to be fast and beware of the neck pressure. We also looked at the basic escapes from underneath mount. Main class: single leg x-guard sweep to straight ankle lock. Kids Class: main theme for today was knee on belly. This position is a nice follow on from last week’s technique of the bullfighter pass. In addition to the knee on belly basics, the more advanced students took a quick look at the straight armbar when the bottom person tries to push their knee away. At the end of class, we wanted to demonstrate to the kids how us adults sparr (flow roll actually). Main class: deep de la Riva guard. There are several variations on the theme, the basic idea with all of them is to pass guard by stepping around your opponent’s legs plus using your arms to push their knees aside, much like a bullfighter with a red flag.1. Drive uke’s feet to the mat and drop your shoulder down.2. Drive uke’s knees to his chest and quick step to knee on belly3. Variation of (2) where you fake one way but go the other4. Outside grips allow you to move uke like a steering wheel.We also looked at the Ezekiel choke from top mount: basic open hand version with tweaks, then variations of using your closed hand to drive through uke’s defences. Berimbolo is commonly used as a means to get to the back mount. The hardest aspect is to knock your standing upright opponent down to the ground in a way that you can access the berimbolo. Once here, we can invert to take the back or go straight to mount. Kids class: bullfighter pass (aka toreando pass). The important aspect we wanted the kids to understand was that they needed to get the opponent’s knees (and therefore legs) far out the way as they stepped through, so that the bottom person did not re-guard easily. Adult class: SPIDER GUARD TRANSITIONS – de la Riva and shin on shin.Last lesson we saw how spider guard can transition nicely to lasso guard. Today we looked at how spider transitions to de la Riva guard and the shin on shin position. 1. Recap from Thursday, but adding in that final piece with the formation of the X-guard (with overhook). 4. Shin on shin – straight to triangle. To sum: the concept behind learning all these guard systems is to place as many layers in front of your opponent when he sands up. He must not be allowed to posture and balance and certainly not begin to break down your current guard…there must always be another guard waiting for him when he tries! Fundamentals Class: we looked at the Mount, a simple jump pass to get to the mount and once there, the basics of holding onto the mount. We also looked at the cross collar choke and the armbar. Main class: Spider guard transitions when uke stands up. The main part of the class looked at spider guard, but we also practiced a drill showing how four other guards relate to the spider guard. Kids class – osoto gari into scarf hold with the more advanced kids also drilling osoto gari into straight armbar. Main class – spider guard attacks: triangle and omoplata on a kneeling uke. Also drilled the different planes of direction you can exert with your foot on bicep control.